Some clients come to us with an existing app that was built for a specific platform and ask us to create a version for another platform. It is a challenge that we take as seriously as working on an app from scratch. Our approach to porting from iOS to Android or vice-versa is to carefully design and develop taking into account the platform’s distinct design and technical specs. For Vivoom, we were asked to build the Android version of an app capable of simultaneously capturing video at multiple qualities: at a low bitrate for fast upload and preview, as well as high bitrate for high-quality playback. Starting from a platform-appropriate design, through software development, and QA, we worked collaboratively with Vivoom’s team to help them hit their targets and stay on track of the evolving deliverables. 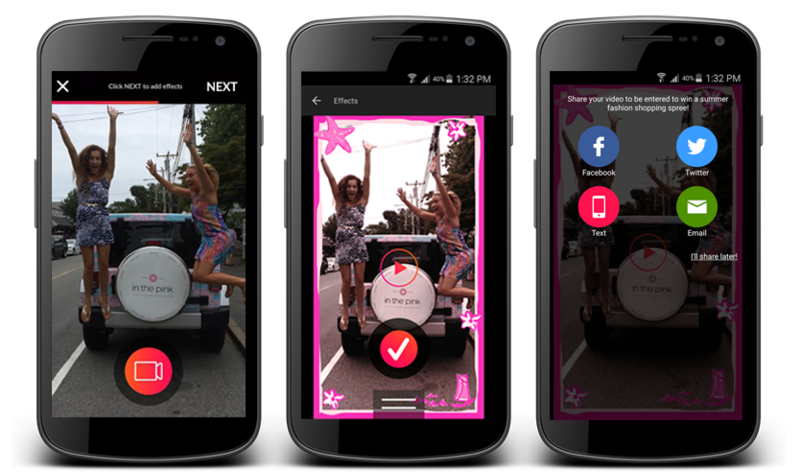 The finished Android Vivoom app transforms ordinary video shot by users with their smartphones into branded, co-created spots that help brands expand their mobile footprint and campaign ROI. The platform is driven by a highly differentiated and proprietary cloud-based delivery system and the world’s leading visual effects engine. Vivoom has been coined “the mobile marketing solution consumer brands have been waiting for” by General Mill’s former CMO, Mark Addicks. Universal Pictures used the app as part of their launch campaign for their horror film Dracula Untold and retail stores like Lilly Pulitzer have harnessed the power of Vivoom to amplify their social reach.